I've been searching since last year for some reasonable priced Fair Isle pattern socks. 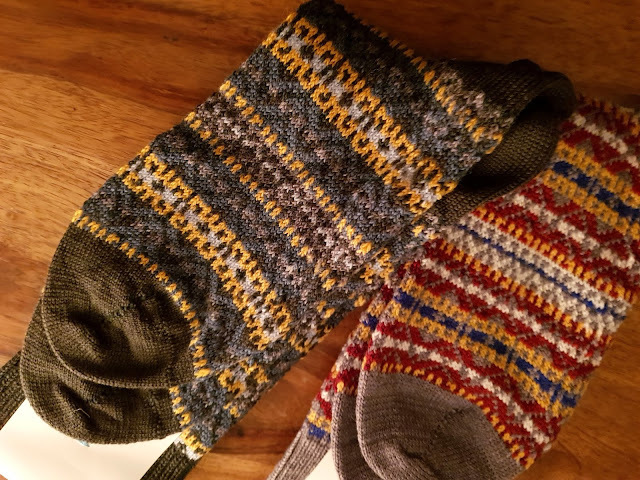 Fair Isle pattern socks are not too difficult to come by online, but when I add the requirement that these should be made from a majority wool blend, this narrows the options considerably. 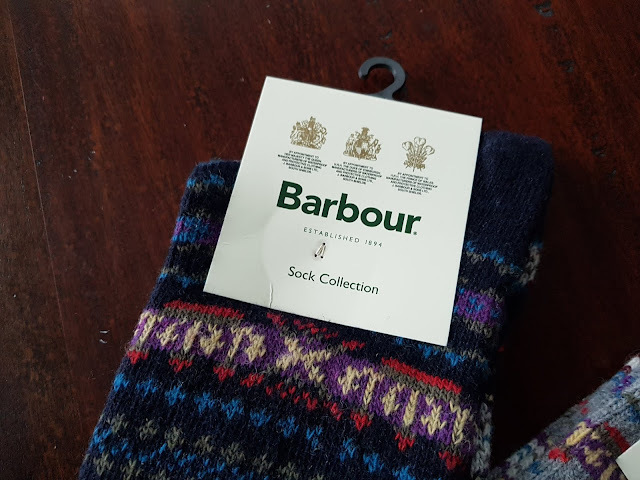 I was lucky to find some recently however in Barbour's Piccadilly London store while visiting at the end of October. And thereafter located a couple of nice pairs from a UK based company on e-bay (more that below). 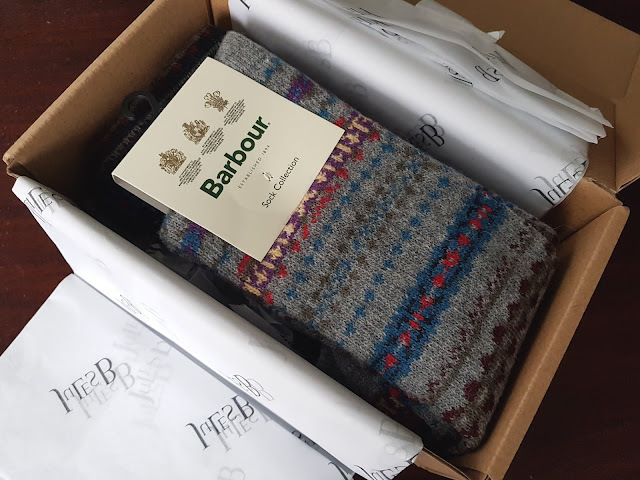 Sadly the Barbour store that I visited only had one of the two colorways of sock that I wanted (which I bought to try out) and after I was satisfied as to the quality, I ordered couple more pairs from the good people at JoulesB, who for a very fair price with shipping popped them over to me. 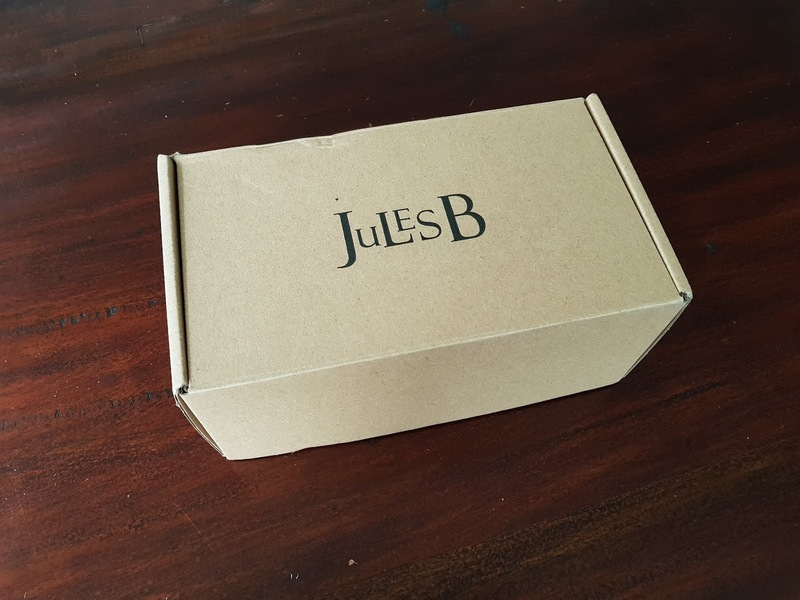 Beautifully boxed and wrapped from JulesB by the way. 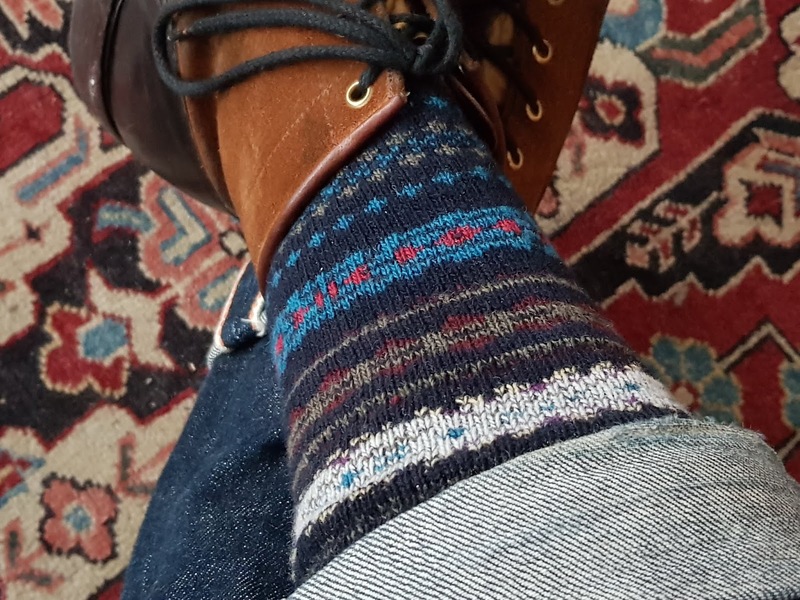 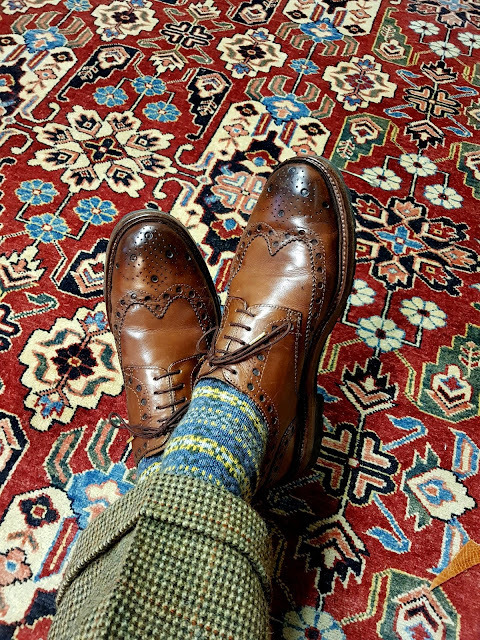 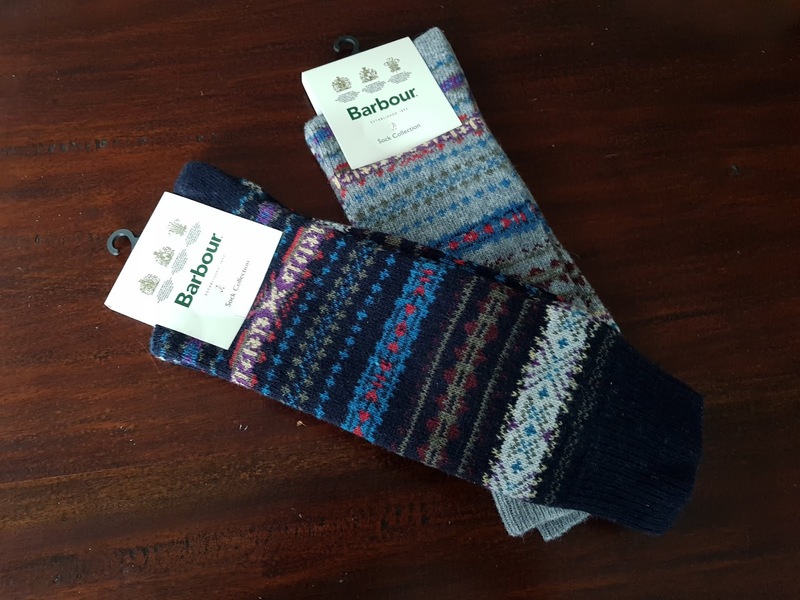 JulesB has just a few pairs of the Navy Fair Isle socks left in medium (UK 6-8) and no more large, so if you want a pair, I would encourage you to act fast. 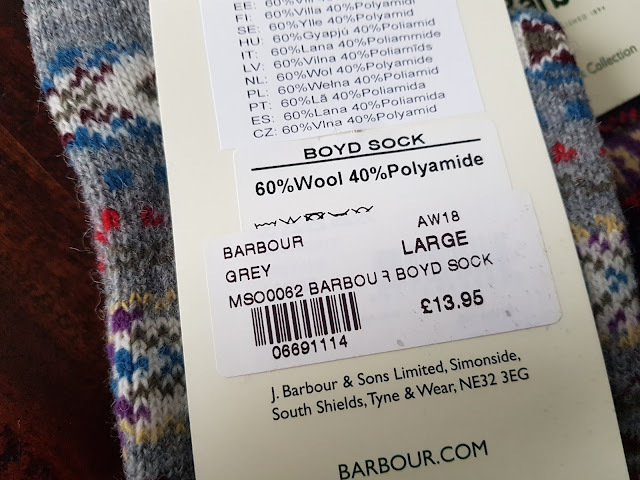 I think End clothing is in the same situation with the grey, but currently does appear to have the Navy in Medium and Larger (UK 9-11), which is my size. Who knew these wool blend Fair Isle would be in such demand? but there you go, great minds think alike. 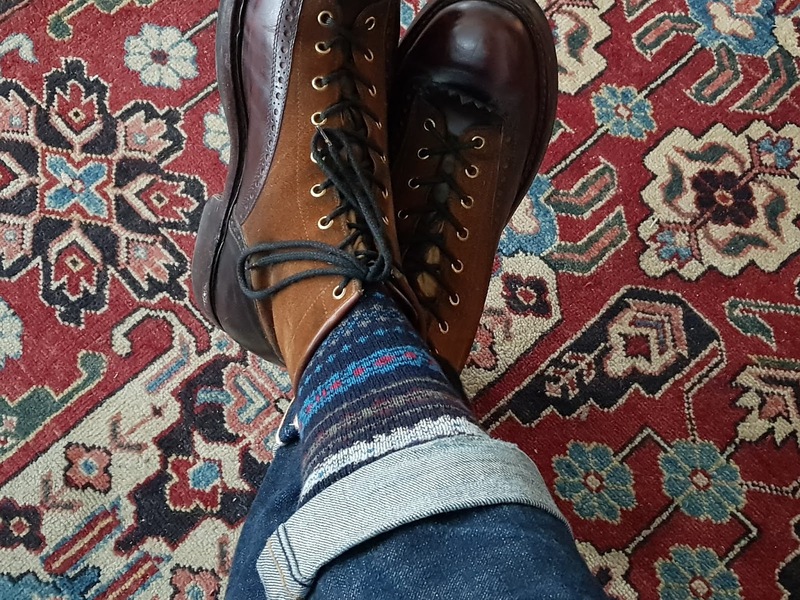 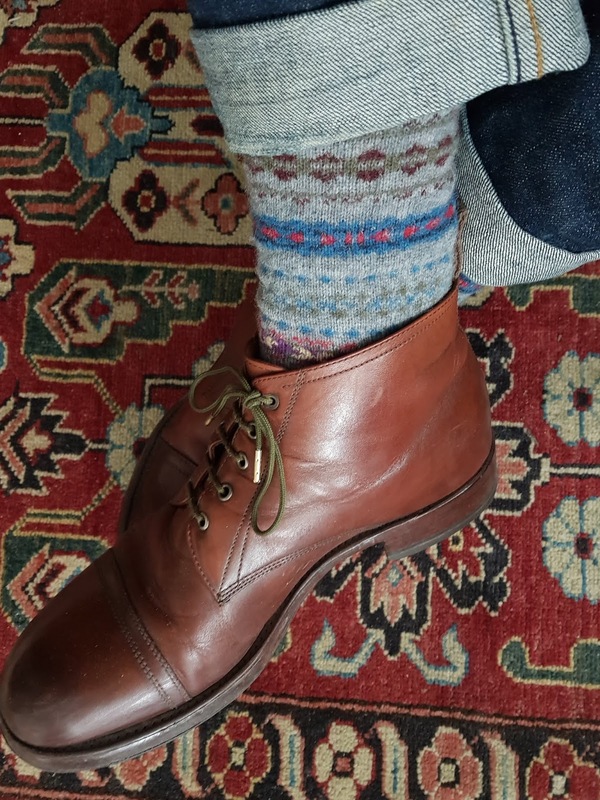 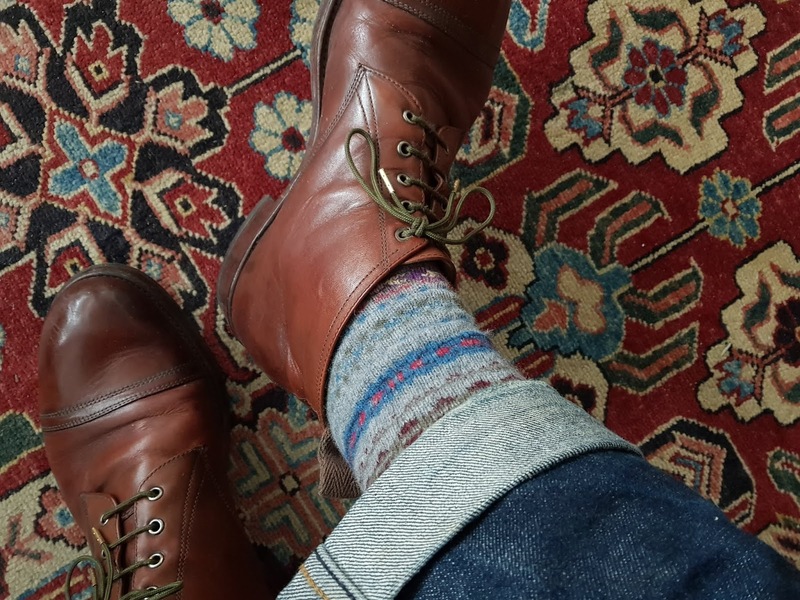 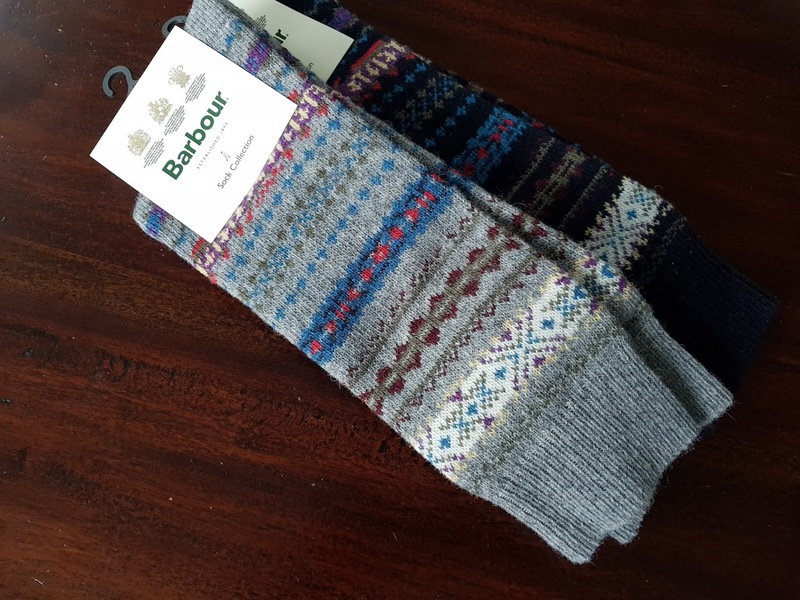 Update: on my search to find more of these Barbour Fair Isle socks, I discovered Aphodite Clothing from the UK and ordered a pair in both the Grey and Navy (on SALE at a great price), which arrived in very short order, so I am happy now to add them to my recommend list! 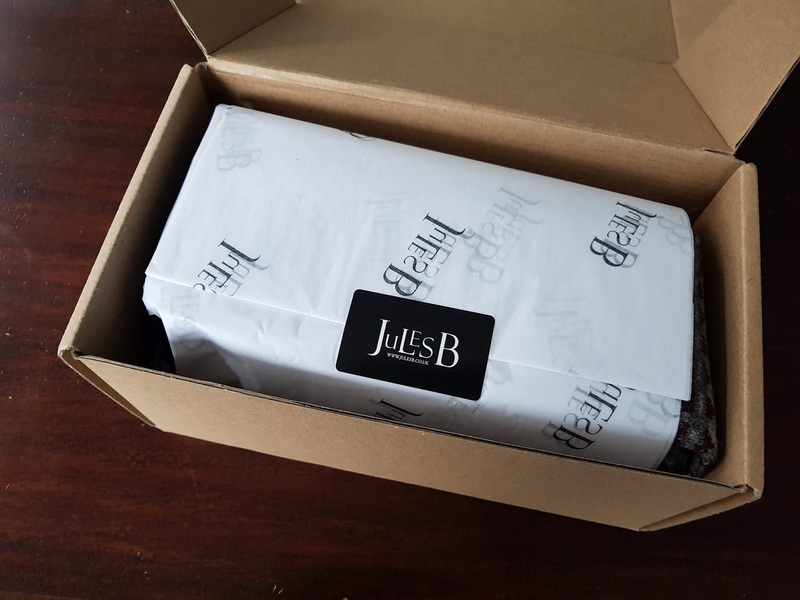 In any case, my purchase with Jules B was a pleasure and they are a first rate company to do business with, so I certainly will put them on my 'Approved list' for future shopping! 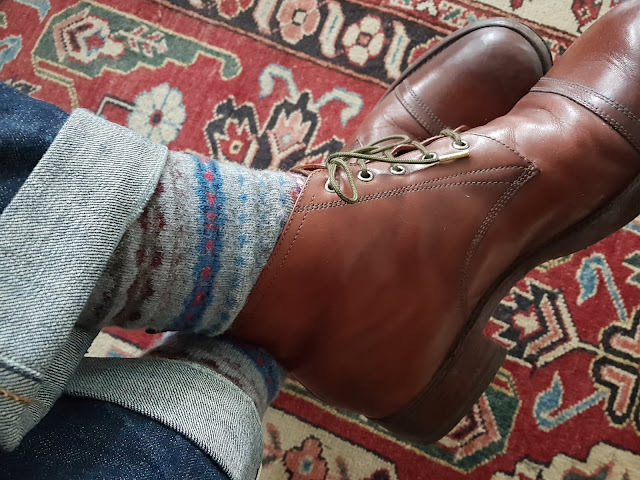 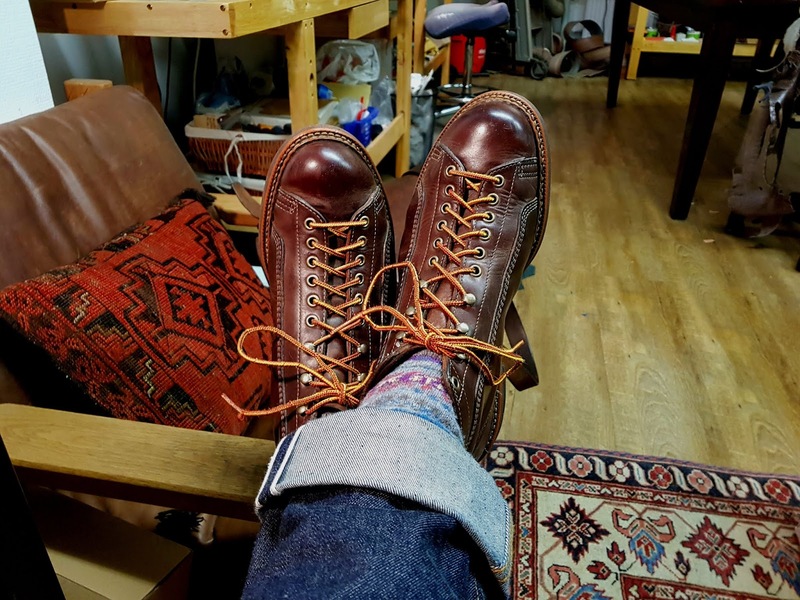 The Barbour Fair Isles add just the right splash of color to my cool weather outfits and since they are knitted from 60% wool and 40 % Polyamide they keep my feet cozy warm and dry. So much so that my wife has decided that I must share them with her! 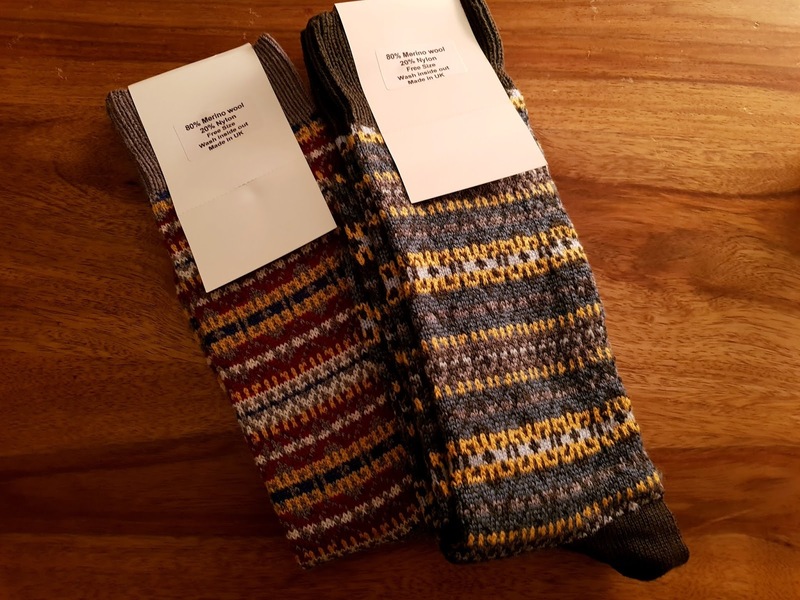 The second batch of Fair Isle sock I've purchased was from a little company who sell by Ebay.co.uk called Sock Division. Again here, I purchased in 2 colorways as well and I've been very satisfied overall as well. 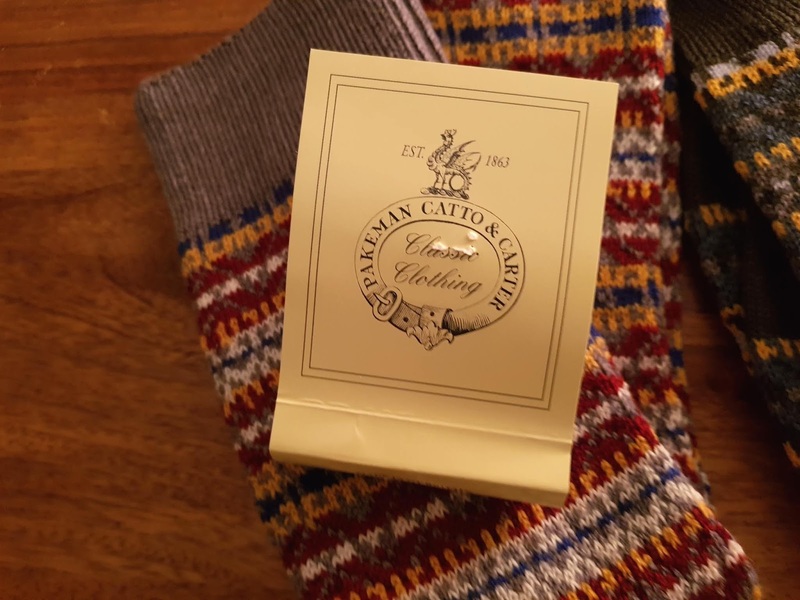 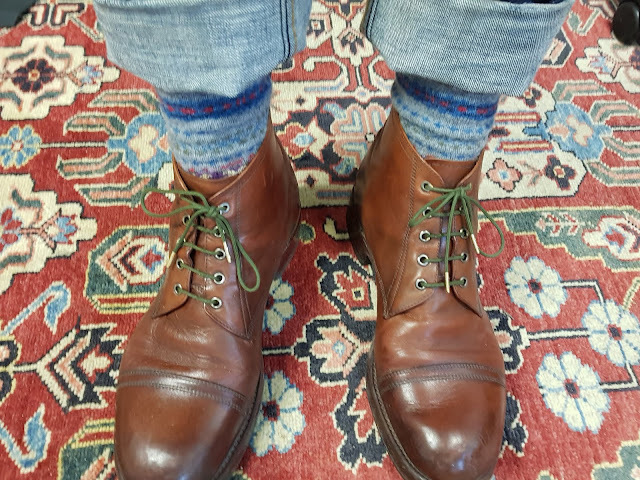 These socks if anything are made from a finer knit and from fine yarn (an 80% Merino Wool and 20 % Nylon) resulting in a sock that is slightly thinner, although not as thin as a dress sock and still a boot sock. These have held up nicely through several wash cycles and though they do tend to shrink a bit in the dryer, they also stretch back out once put on (perhaps in future I will hang dry these. 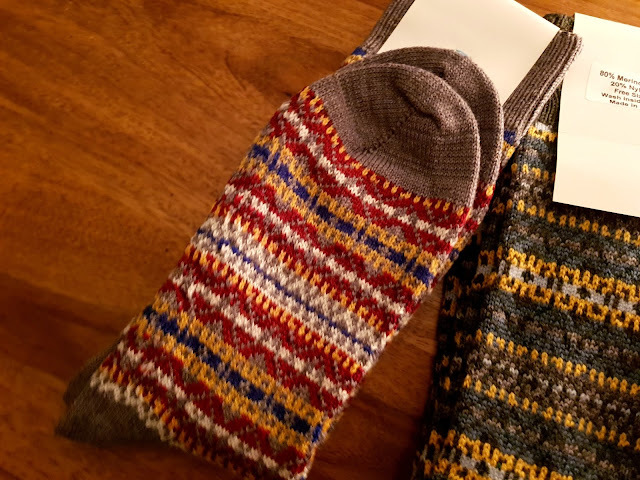 The colors they have are Green, Blue/Grey, and Yellow on the first pair and Red, Brown, Yellow and blue on the second. 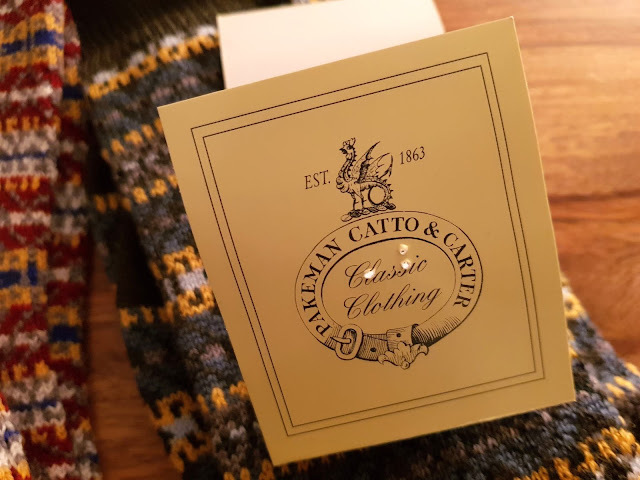 Interestingly, the cardstock label the sock came attached to featured the logo of the now-defunct traditional men's clothier Pakeman Catto & Carter in its reverse - I'm not sure if there is any connection with the company that kitted these socks, but I would say the quality would certainly be in keeping with this old line retailer that is sadly no longer in business. 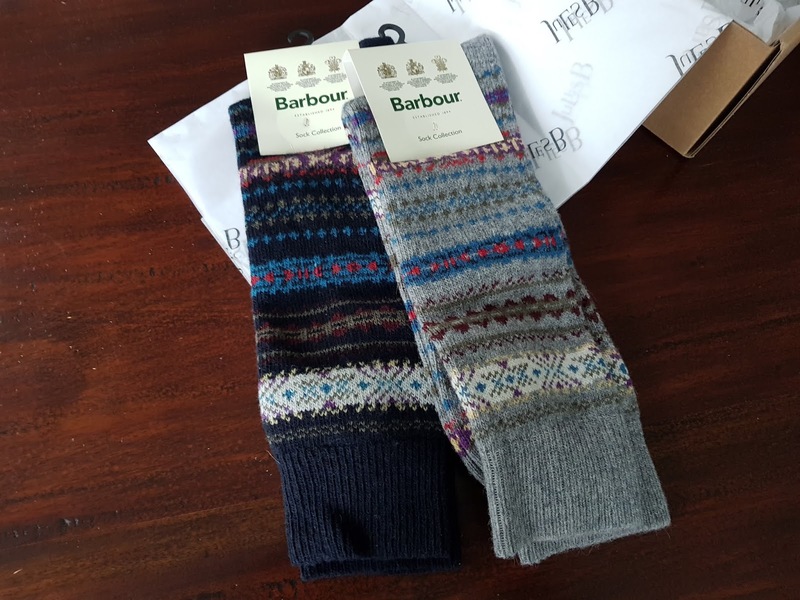 In any case, these socks arrived very quickly form Sock Division and while the packaging is not up to the standards of JoulesB or Endclothing, the price is certainly right as is the product quality.